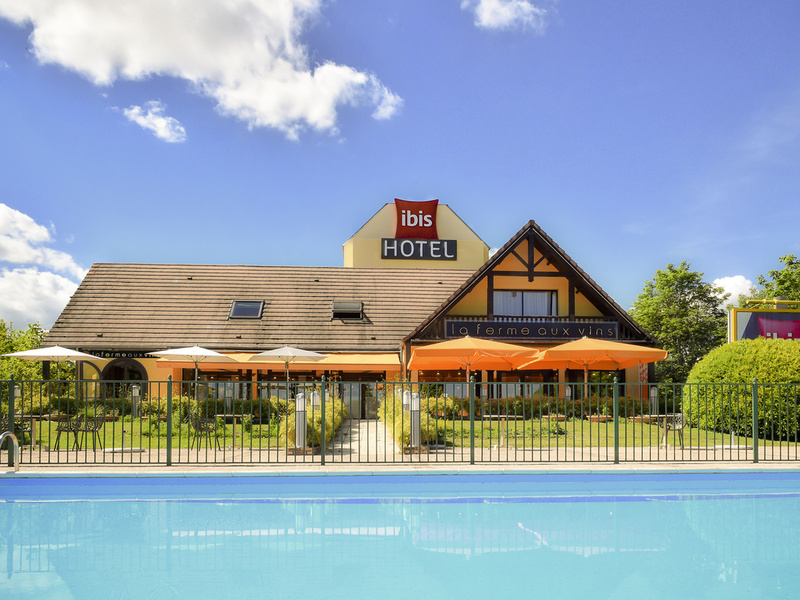 With 103 air-conditioned rooms, the ibis Beaune La Ferme Aux Vins hotel is located opposite the Congress Center, 875 yards (800 m) from the city center and exit 24.1 of the A6 highway. Guests can take advantage of a free private car park, 24-hour bar with terrace, swimming pool and a traditional restaurant, La Ferme aux Vins. Perfect for seminars, the hotel has 3 meeting rooms suitable for conferences of up to 200 people. Free WIFI is available. Located 875 yards from the center of Beaune and its wine cellars beneath the town center. For every château in the surrounding area, there is a vineyard. Ask at hotel reception for more information on tours. The modern, welcoming "La Ferme aux Vins" offers Burgundy specialties and seasonal contemporary dishes, with a menu that varies throughout the year. Our chef prepares all dishes on site using high-quality, fresh ingredients. Relax in the bar: people gather at the bar throughout the day for a bit of downtime. A large selection of Burgundy wines and wines by the glass.